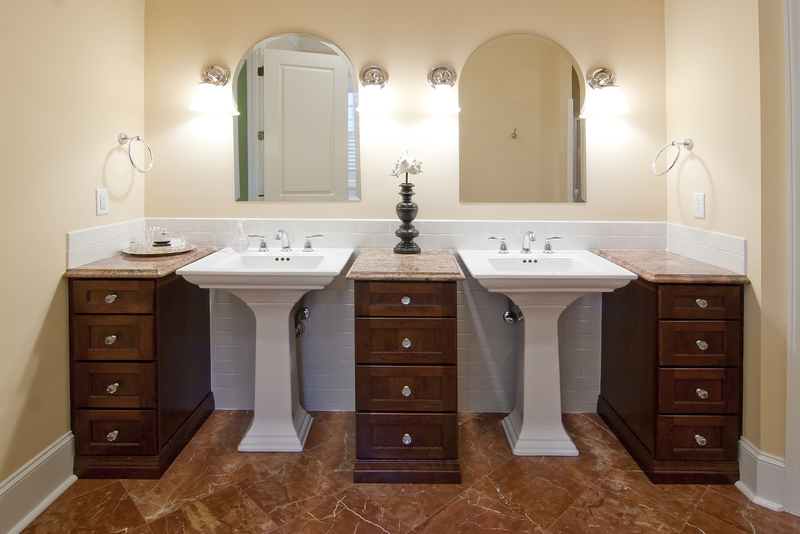 When replacing your bathroom vanity, it can be tempting to install a similar style and move on. However, replacing your sink can be an incredible opportunity to create a focal point to your bathroom. Here are five sink ideas to get you started. 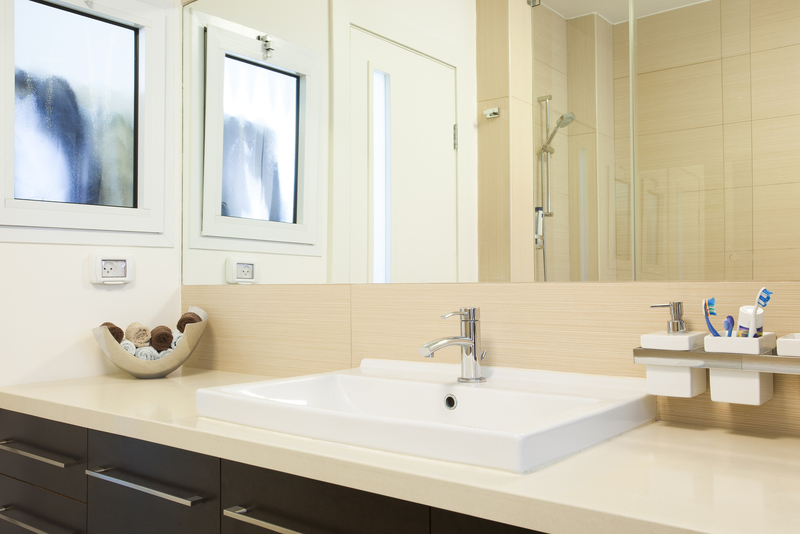 When replacing your bathroom vanity, it can be tempting to install a similar style and move on. However, replacing your sink can be an incredible opportunity to create a focal point to your bathroom, express your personal style, and add significant value to your home. 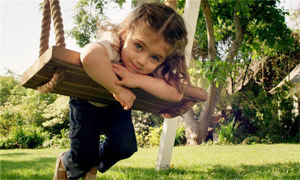 HGTV states that kitchen and bath renovations increase the value of your home and have a high return on investment. There are so many options to update your bathroom space that it can be hard to decide which one is right for you. Luckily, we’ve compiled the five new sink ideas to help make that decision a little easier. In some homes, the builder-installed flooring doesn’t extend beneath the vanity cabinet, which makes your options limited if you are not replacing your bathroom floor. 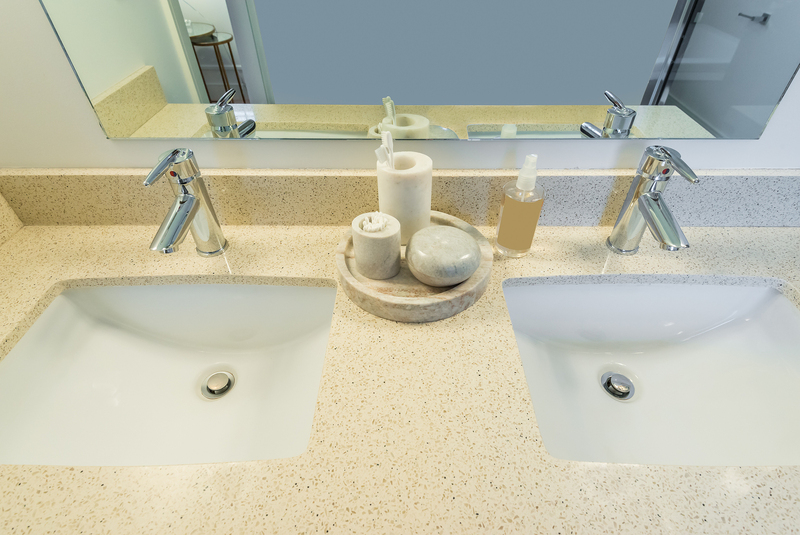 In this case, reusing the same vanity with a new top-mount sink may be the best choice for you. A top-mount sink drops in and has an outer rim to create a finished look. 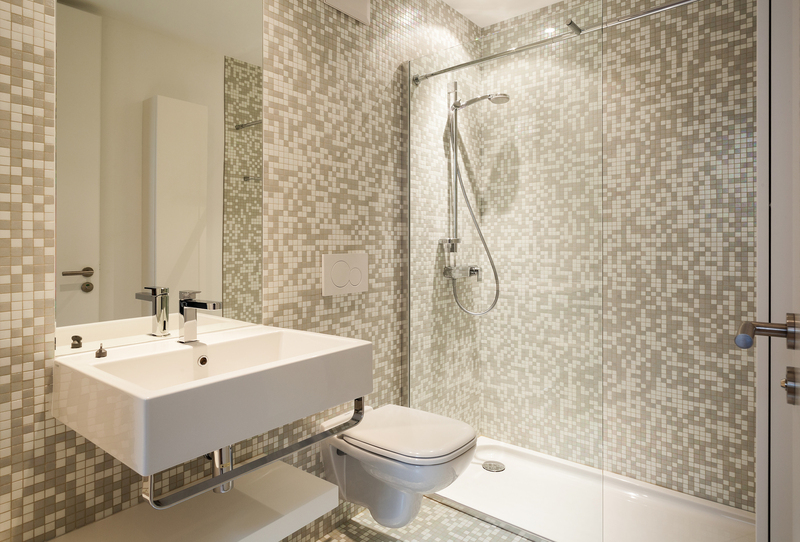 Choosing a square or rectangular version will instantly modernize your space. While the cost is comparable to a top mount, an under-mount sink will only work with a solid surface countertop, which will add dollars to your project. The upside, however, is a sleek-looking countertop that makes cleaning up a breeze. 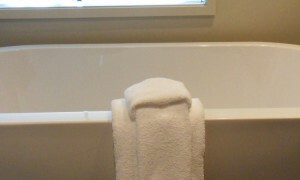 Any mess can just be wiped back down into the sink since the rim of the sink is mounted to the underside of the counter. If the first thought that comes to mind is “school bathroom”—think again. Wall sinks have come a long way from their industrial beginnings and are a fantastic way to add a minimalist design to your bathroom. A wall-mounted vanity with straight lines and sleek hardware exudes modern style and is ideal for small spaces. 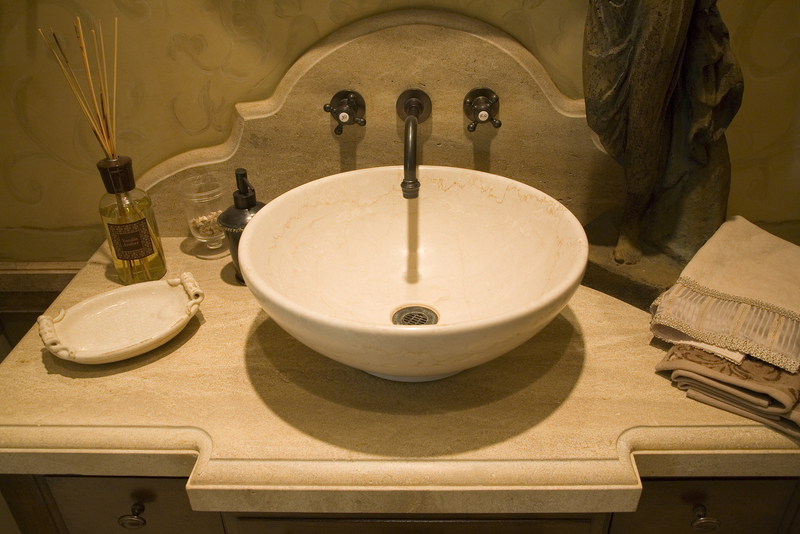 If space is an issue, or you’re looking for more traditional sink ideas, a pedestal sink can be the perfect answer. Typically made from porcelain, this option hides plumbing lines and can fit into almost any space. The downside to this choice is a lack of storage—which can be rectified with savvy storage to match the traditional decor. Replacing a large two-sink vanity with two pedestal sinks can create a balanced look and amp up the wow factor in your bathroom. By far one of the most versatile sink ideas, vessel sinks can come in a variety of colors and materials, making it the perfect choice for those who want to express their unique style. Vessel sinks can sit entirely above the counter, or semi-recessed. When paired with a butcher-block vanity or antique dresser, a vessel sink can add glamour to a traditional or industrial look, while an etched glass countertop can signal a contemporary look. From bamboo to copper, stone, marble—and even glass, vessel sinks should be chosen based on the type of use and location. While all of the above are ideal for powder rooms, choosing a durable and easy to clean sink will be best for main bathrooms or heavy use. If you live in a location with hard water, a glass vessel may look fantastic upon installation, but can dull quickly with hard water stains. No matter your style, the right design elements will help you achieve the spa quality you want while adding value to your home. A new sink can be one of the easiest ways to breathe new life into your bathroom and can be done with or without a full bathroom overhaul, making it a worthwhile DIY project for any home. 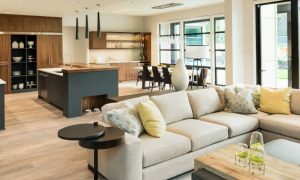 Houzz looks back at their latest stories to help you look ahead to your next design project.